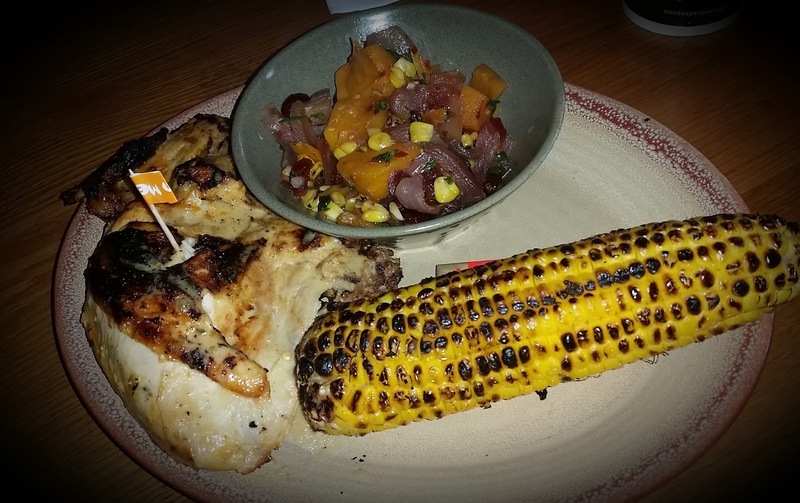 I chose their famous ¼ chicken – breast/wing with flame-grilled corn on the cob and butternut squash medley. You can order their chicken spiced a multitude of different ways so I chose medium. The chicken was outstanding, juicy and grilled perfectly. The corn was charred from the flame grilling, giving it a deep smoky taste and the butternut squash medley packed in red onion, dried cranberries, cilantro and chili. Just a warning, this side is spicy! Dora here. Haha. Wasn’t everything spicy? A forehead slicker for sure! You kept calling for wipes. Lol. 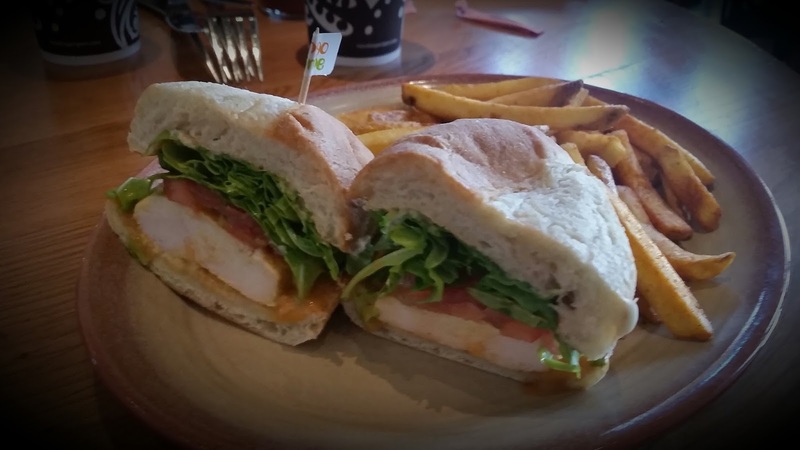 I chose the chicken breast sandwich on Portuguese bread with some lime-heated sauce. Yowza! The white meat was juicy and tender, and the whole sandwich was delish with eye-popping flavor! When you enter the restaurant, you’re given a numbered rooster which corresponds to a table. You order at the counter, grab your condiments and drinks, and then sit at your assigned table. 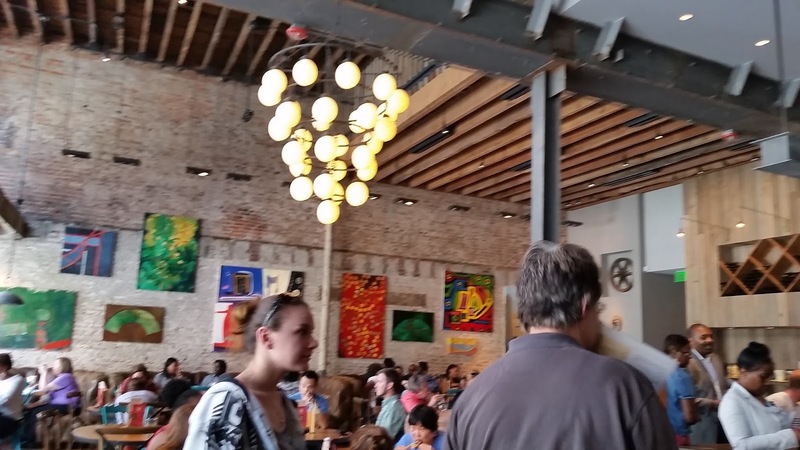 I loved the eclectic, exposed brick interior. Get here early because seating fills up fast and folks were huddled around the counter waiting to order. But not to worry if you can’t. The meals were delivered quickly and service was friendly and efficient. 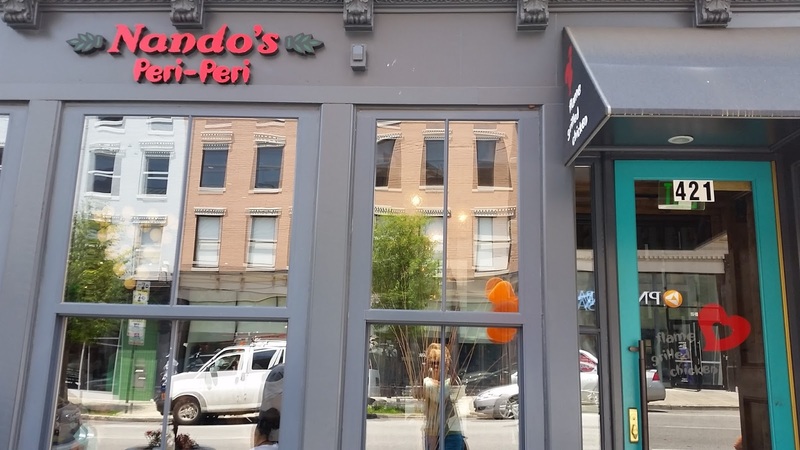 I’d definitely eat at another Nando’s! We rate this restaurant 5 forks out of 5 for a family friendly restaurant serving outstanding food. 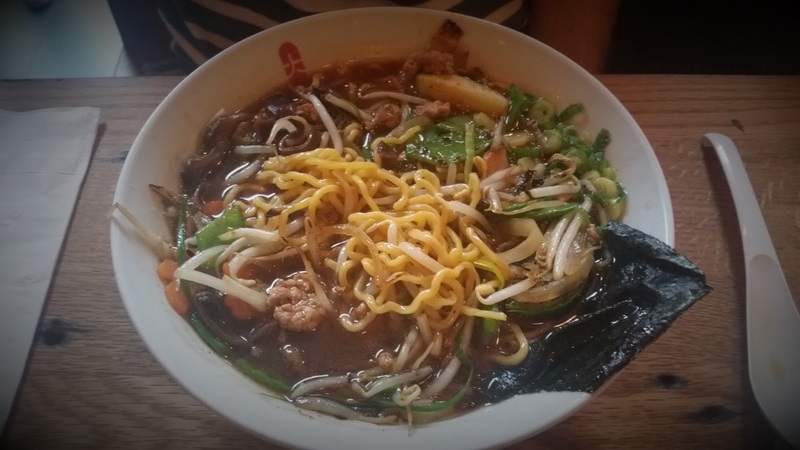 Next, we moved on to the Chinatown area of Washington, DC, to Daikaya, serving Sapporo-style ramen. 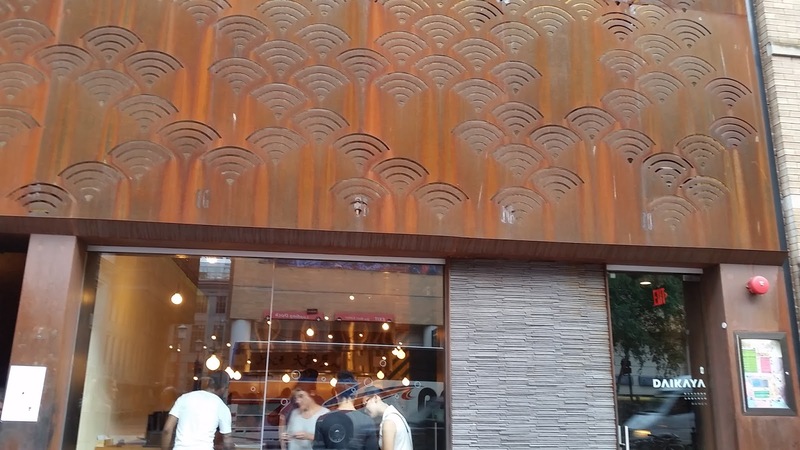 Ramen restaurants seem to be the rage lately. Dora here. Don’t conceptualize the packaged noodles you’d buy in a grocery store. Not even close. 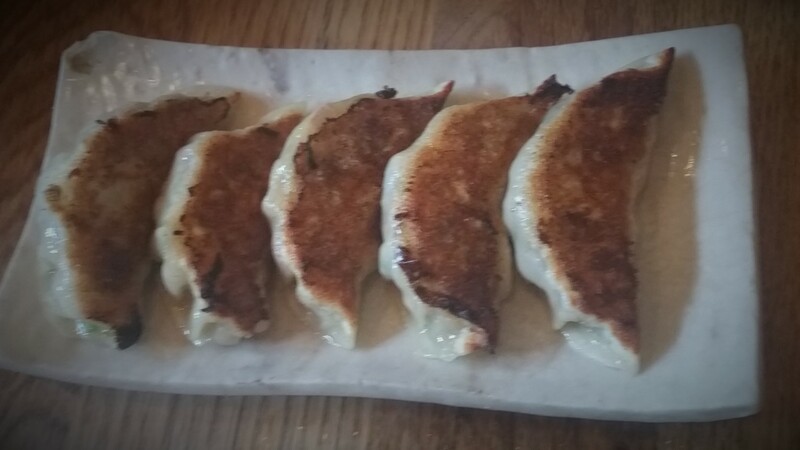 As an appetizer, we chose the gyoza dumplings, pan fried, full of flavor and something that you just want more of. I would rate this restaurant 5 forks out of 5 for a family friendly restaurant serving outstanding food. 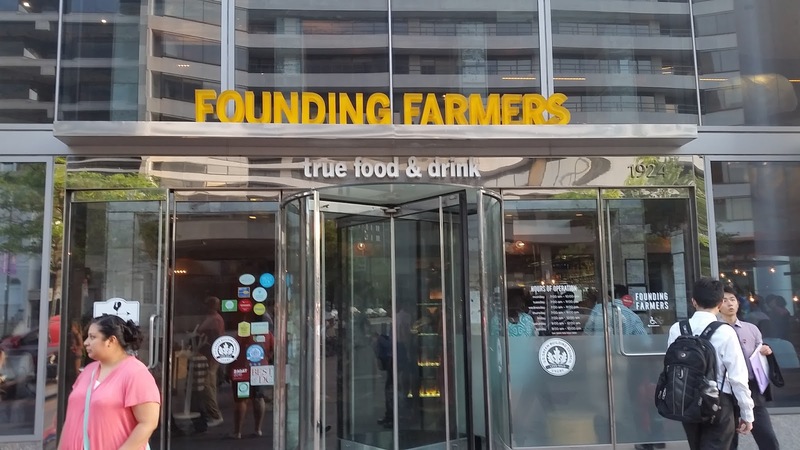 After several visits to DC and just as many attempts to get a table at Founding Farmers, a farm-to-table restaurant three blocks west of the White House, we finally made it! Reservations are the best way to sample this restaurant unless you have a couple hours to kill waiting. Our waiter explained that Founding Farmers typically purchases from local merchants and farmers’ markets. When they can’t find fresh ingredients locally, they buy carbon offsets to ensure that regardless of distance, Founding Farmers is walking its talk that the planet matters. We started our meal with the Skillet Corn Bread served with sea salt and honey butter. This corn bread was great, sweet even without the honey, and packed with fresh corn. Unfortunately, we dug in so fast, we forgot to snap a picture. Sorry! I chose the Signature Chicken Pot Pie, and the waiter practically dared me to finish it. 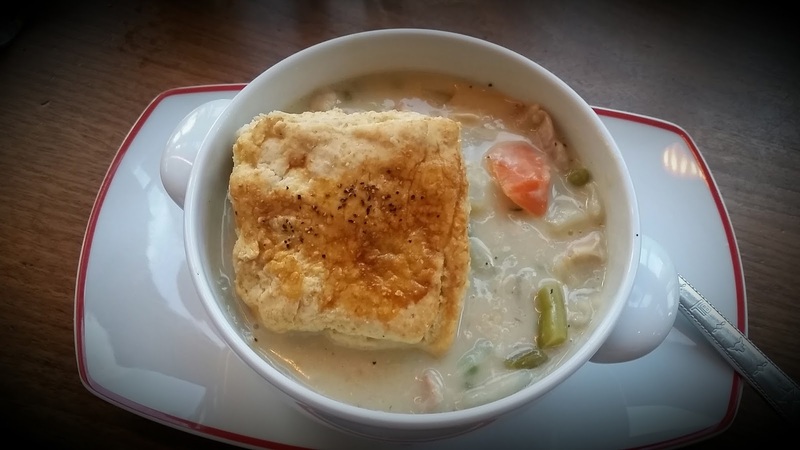 Chicken pot pie is one of my favorites, so I have experienced this dish at many restaurants, but this one was excellent. Bursting with chicken and fresh vegetables and a broth that kept my fork coming back for more, I still couldn’t clean my plate. Dora here. I ordered the Butternut Squash Mascarpone Ravioli. Soft ravioli puffs, smooth and tasty, but loaded with flavor in a delicate, refined way. Delish! What heat level do you prefer? Light your mouth on fire? Sizzling? Warm? Or no heat? Thanks Tanya, I too like spicy foods, kind of hard getting Dora to try them. Heya Tanya! 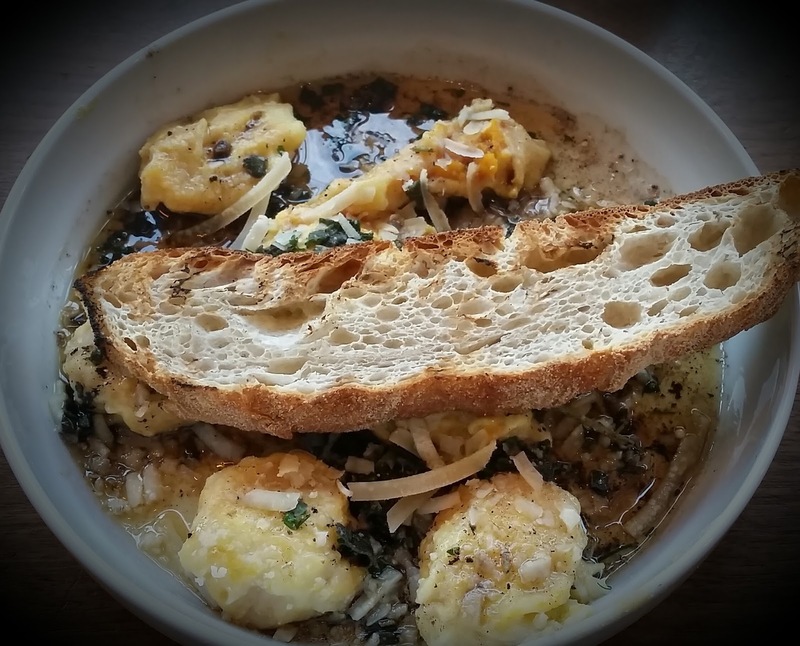 We're definitely learning our way around DC and enjoying soooo many great restaurants! But then you visit Hawaii. That has to be a foodie heaven! Hugs backatcha!